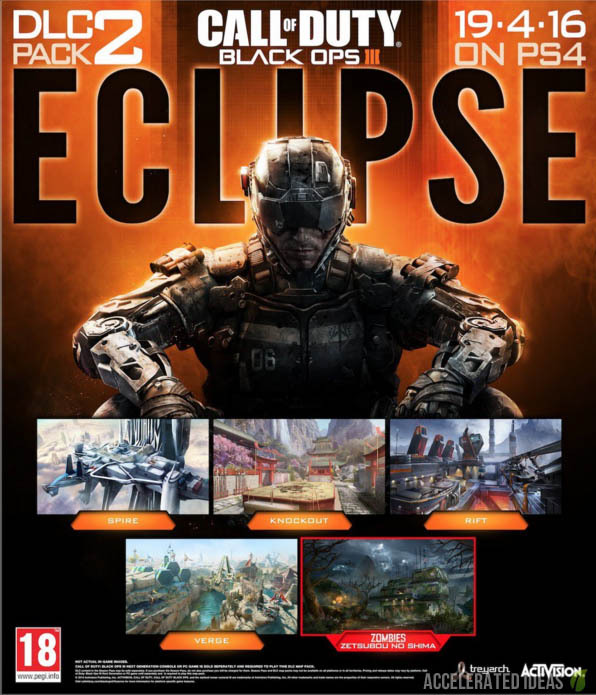 Treyarch have officially confirmed that Zetsubou No Shima is the second DLC zombies map for Black Ops 3 included in the Eclipse DLC Pack. Following on from the highly successful Der Eisendrache, Zetsubou No Shima is due out in 19th April and will be available first on PS4 and then a month later on PC and Xbox One. 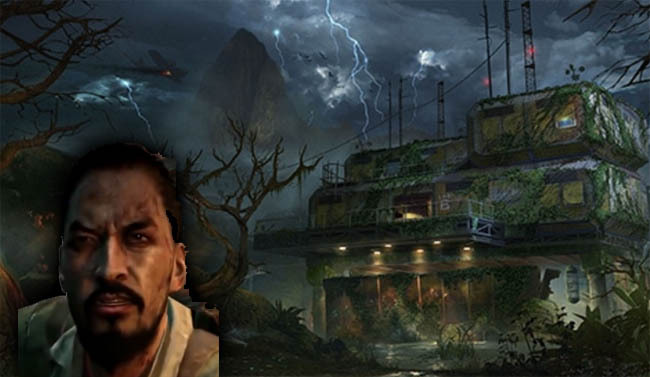 As we all suspected, Zetsubou No Shima is the Takeo map in the Black Ops 3 zombies storyline. The new map takes us to a remote island with a distinctive Japanese setting - there are themed wonder weapons and story elements that fit perfectly with Takeo's character. Even though this announcement was relatively late, it seems like only yesterday that Der Eisendrache was announced. I guess that just goes to show how fast time flies when you're playing a truly epic zombies map. People are still playing and loving that map today and the SOLO Easter Egg has helped to exemplify the perfection that Treyarch achieved in their first DLC for 2016. Two months later and we now have the first details for the second DLC map for Black Ops 3 and Treyarch sure have a huge expectation bar to meet. Will they bring back more of the classic zombies elements or come up with something new? Update: The first gameplay trailer for the new map has been published. Check the new features confirmed: Full Trailer - Spiders, Swimming, Thrasher confirmed. We know that Zetsubou No Shima takes place on an island in a swamp/jungle setting which is considerably darker than the other maps in Black Ops 3 - it's murky, boggy and certainly a tense zombies experience. This is Takeo's map in Black Ops 3 and the setting is typical of a Japanese themed zombies map, indeed it has many similarities to Shi No Numa - the original and now classic swamp map from World at War. Treyarch have confirmed that in Zetsubou No Shima the Origins characters continue their mission to stop the zombie apocalypse not only in this universe but in all universes i.e. 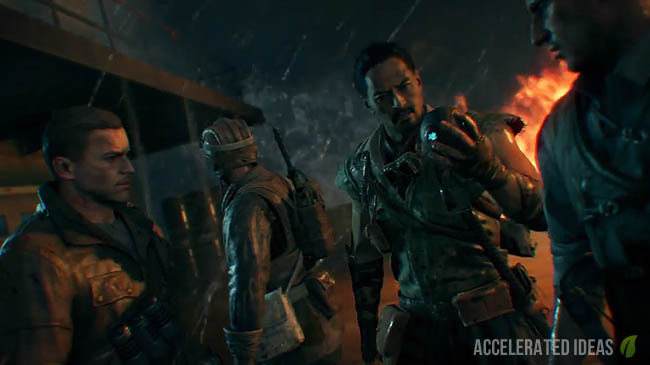 they must now take out the other Takeo. The four heroes find themselves stranded on a remote Pacific island (surprise surprise!) which is home to the Division 9 facility - a secret biological research lab where experiments with Element 115 have taken place and its effects on human, animal, and plant biology has created monstrosities beyond belief. Zetsubou No Shima features an rich island map including new zombie enemies, a variety of innovative transport mechanics, more devastating traps and classic Zombies side quests. Blundell described the new map during the live stream as one of the scariest maps we’ve done - the atmosphere and the feeling for it is fundamentally disturbing for people to play. Getting back to the roots of zombies which are classically unnerving and unsettling. The cinematic starts with the four Origins characters on a boat. 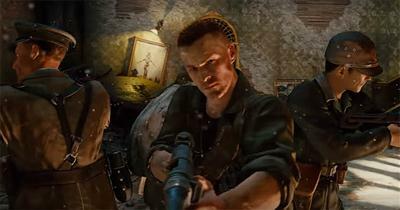 A group of soldiers are holding the characters captive along with the Summoning Key. The characters desert the stricken boat into a smaller craft, heading for the remote island in the background. 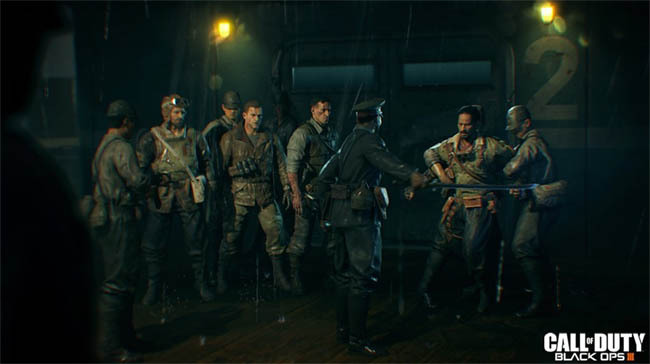 Not long after the Easter Egg ending for Der Eisendrache and fans were already discussing the possible setting and storyline for DLC 2 - known as the "Takeo" map within the zombies community. We've had wild guesses that it would take place on an island with spiders, margwas and even a kitana wonder weapon. All speculation of course but good fun none the less. Many believed that Treyarch would follow suit and bring back some of the best features from past maps such as the PHD Flopper perk, moon's Hacking Device and Winters Howl from Five. In addition to the speculation an avid PC player dug into the BLOPS3 dump files to highlight some of the games unknown secrets. He found references to the word Warlord and Island in close proximity to the text string DLC2. Warlord sounded very much like a reference to a new BOSS or possibly a wonder weapon, whilst the second reference for Island was of course a telltale clue to the next maps location. Next up we had an official leak from Treyarch themselves who uploaded a DLC 2 image to the Black Ops 3 website to promote Season Pass themes. The image showcased the island/swamp theme with a secret facility taking main stage. The environment was much darker, with raging thunderstorms and a crashed plane in the background. I discussed some of these details when the image first leaked. The Thrasher is the island's round boss that makes an entrance at roughly round ten and then regularly thereafter. Spores are it's ranged attack that can easily stun the player into submission whilst it's melee attack is far more powerful. Don't let this thing get too close either because the Thrasher can eat you as well! It's weak points are it's pustules which players can target and burst (they are located on it's leg, back and arm). Like the Margwa and Panzer, hitting the weak spots will lead to the Thrasher's downfall. Also like the Panzer, the Thrasher can go berserk, making it run faster as it tries to hunt you down.